On Japanese Funerals | This Japanese Life. Posted on March 28, 2011	by E.
My first conversation about the earthquake was a week and three days after it struck. In the office, we talked about the peripheries of disaster: Blood donations, fundraisers, TV coverage. We didn’t talk about victims. When the media focused on pictures of widows and orphans, my colleagues bristled at the invasion of privacy. “Get the cameras out of the shelters,” a co-worker complained. Mourning comes slowly in Japan. People address tragedy by consensus. Now that family and friends are accounted for and students are holding donation boxes outside of the train station, the work is underway for the survivors. People can start talking about the dead. Japan has two spiritual traditions. There is Shinto, which governs the clean and positive aspects of Japanese life: luck, weddings, childbirth, birthdays, careers and fortunes. 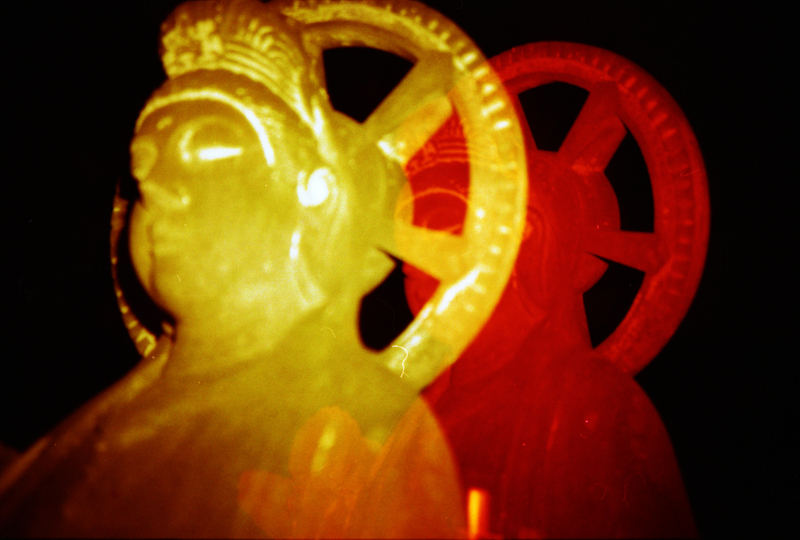 But for guidance in darker times, people turn to Buddhism. Nearly 85 percent of Japanese funerals are Buddhist. But the two faiths have influenced each other, and even Buddhist rites in Japan include many distinctly Shinto practices. The Japanese don’t follow what most Westerners consider reincarnation, which is closer to Hindu. In Japanese Buddhism, there is a severing of the spirit’s ties to the Earth and the gradual movement to another place. Funeral practices become clearer if you consider the mourners a support team for a traveling spirit. The funeral is a Buddhist farewell ceremony. The spirit embarks on a pilgrimage to “The Pure Land” where they will begin life again to refine themselves far from the distractions of human existence, until they reach a state of nirvana. The family is obligated to prepare the deceased for that journey, and to “check in” on its progress through ceremonies and prayers. In the meantime, the spirit is metaphorically moving away from its personality, or ego. As it gradually moves further away, the family has time to adjust to its absence. The body is dressed in a white kimono, like a pilgrim’s, but folded in reverse. Many funeral rites are backward, such as covering the body with a sheet head first, to protect everyday acts from being associated with death. Maybe it’s superstition, or maybe no one wants to think about dying every time they change the sheets. My guess is it started as a taboo and now helps keep life and death psychologically separated – a typically Shinto approach. The body is given a handbag, sandals, gold coins and prayer beads. Dumplings and a bowl of rice are offered with chopsticks sticking out. Westerners in Japan may have noticed panicked looks after stabbing their hashi into their dinner plate – this is why. The family collects favorite objects of the dead (or representations), such as paper cranes, paint brushes or cigarettes. These are placed into the coffin with the body – basically, carry-on luggage for the soul. The dead will look back if they hear their name, slowing the spirit on its journey. So the dead is given a new name to use in the afterlife. Changing the name cuts ties to its old ego and helps it move away from the world – Buddhist monks do this, too, when entering a monastery. The new name identifies the spirit in the next world and reflects the deeds and nature of the person who uses it. It also, controversially, reveals the total value of donations they have given to Buddhist temples. When the Buddha died, his followers stayed with his body, discussing his teachings late into the morning. It is now tradition for the family to stay by the coffin all night reflecting on the life of the dead. The wake is held the day after the death. It lasts about an hour. A priest reads a sūtra – usually a dialog between Buddha and a follower about The Pure Land – and burns incense. That flame lights the incense of the closest relative, who lights the incense stick of the next closest relative, etc. Two days after that – with certain exceptions – is the funeral. The family wears black kimonos; other men wear black suits, ties and socks; women wear black kimonos or dresses. If you’re invited to a funeral, expect to give money. You’ll put this money into a special silk envelope, write the amount on the outside and hand it to the receptionist as you enter. Japanese funerals are expensive. Costs as high as 3 million yen (about $36,000 USD) are pretty typical, so this tradition helps. Mourners get a gift in return a few months later, usually a third of the value of their contribution. 5,000-10,000 Yen is given for neighbors, friends and coworkers. Sutras are read and more incense is lit by mourners, who bow to the deceased in a carefully arranged order. And then, a priest drives the first nail into the coffin. The family finishes the rest. The body is now fully separated from the living. 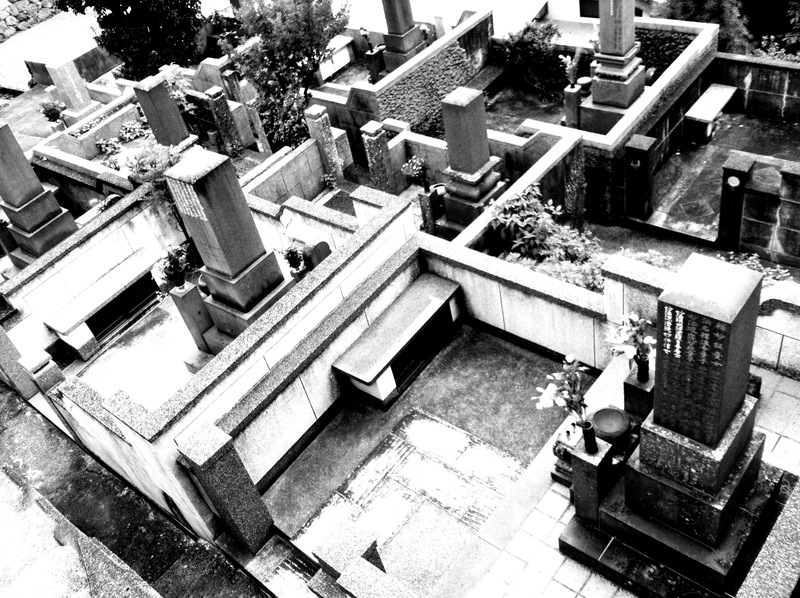 Most bodies in Japan are cremated. The remains go to graves, or home shrines. More recently, some are spread on the sea or mountains. After the body is burned, the family uses ceremonial chopsticks to place the ashes and bones into an urn, passing bones from one family member to another. In another “separation of life and death” taboo, Japanese people never pass food from one set of chopsticks to another. Neither should foreign guests. Burning the body is a Buddhist innovation over Shinto; before Buddhism became a major player in Japanese spiritual life, Shinto struggled to find a satisfying purification ritual for the dead. The Shinto ritual involved placing the body somewhere far away for a few days, until death’s impurity wore off. Buddhism, however, offered a comforting, social ritual. Depending on who you ask, it either introduced or tapped into ancestor worship, which still lingers today. During the Obon holiday, families return to their ancestral homes and clean grave markers. It’s the biggest holiday in Japan, after New Year’s. With the body burned, the spirit starts to leave. The journey takes 49 days, with seven trials every seven days, and small services are held in this world once a week. Over time, the spirit of the dead is moving farther away from the realm of the living, and the living are further away from the death. On the 49th day, the spirit arrives at its destination and a celebration is held for the mourners. With the dead at its destination, the attention turns to the living. The family ends their mourning and sends thank-you gifts to visitors. For the next year, the family will avoid Shinto celebrations. They won’t send New Year’s cards (but will send apologies for not sending a New Years card). The cycle of remembrance continues beyond the first year. After the 1st, 2nd, 6th, 12th, 16th, 32nd and 49th anniversaries of a death, special services are held. On the 49th anniversary, the spirit is completely free of ties to the physical world. The name card of the deceased is taken into the family home, where it will be remembered by grandchildren now old enough to be grandparents. The name card serves as a protective measure for the family, their connection to an ancestor in a land of pure beauty and enlightenment. A Westerner in Japan reports on a Japanese funeral in a more in-depth account. A great English overview in The Japan Times. An intimidatingly thorough checklist for funeral practices. Two Japanese films dealing with funerals in different ways: The melodramatic “Departures” and the early ’80s comedy “The Funeral,” which examines the difficulty of planning a Japanese funeral. This entry was posted in Earthquake, Photography, Shinto, Shrines, Temples and Ruins, Thinking, Tradition, Uncategorized, Zen and tagged buddhism, death, earthquake, funerals, japan, photos, shinto. Bookmark the permalink. Heavy topic, but well-covered. I read about the reverse kimono lapel folding recently, incidentally. There are a lot of interesting rituals…reminds me a little of the Roman and Egyptian customs, believing that the dead would pass into the next world with some possessions left to them. by the living. Great post indeed on a topic that is not easy to tackle and about an element of Japanese culture none of us want to experience I assume. Was there ever a “Mountain where you leave your mother”?